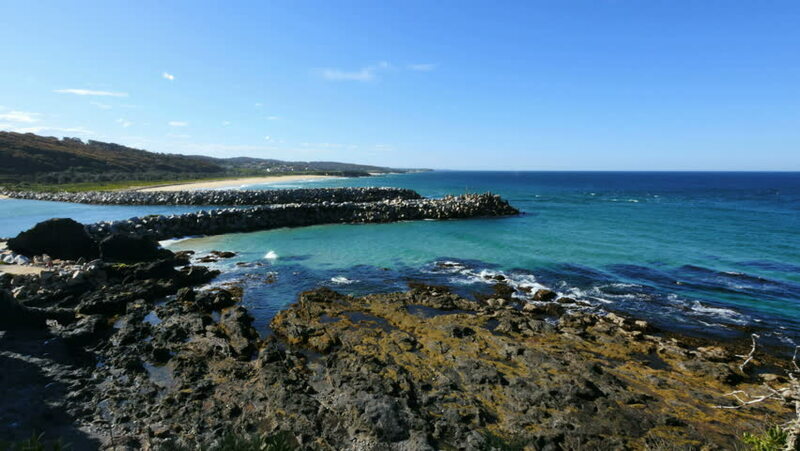 The rocks of a ship canal extend into the sea at Narooma on the east facing Australian coast. 4k00:39Aerial drone overview of virgin empty beach surrounded by wild forest and mountains. 4k00:19Aerial view of Calanques National park near Cassis fishing village. Little harbor "Port Miou"